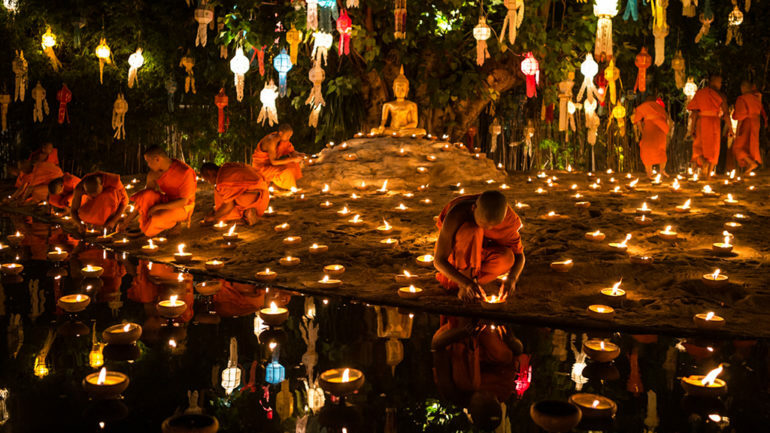 This colourful nine-day event is one of the most fascinating festivals in Phuket. Watch as throngs of devotees walk in a trance, with their faces or body parts punctured by knives and other household objects. 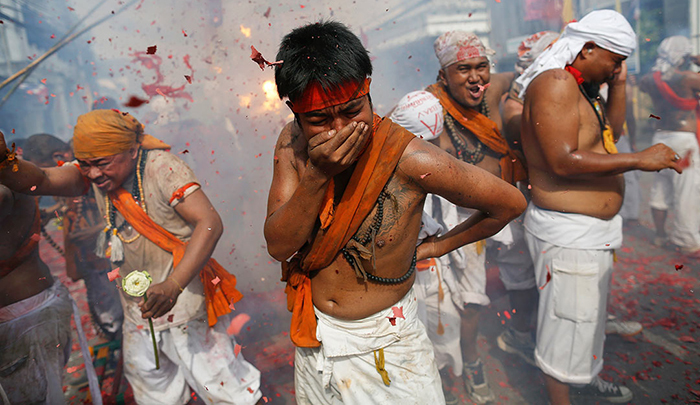 It’s a gory sight – but these devotees seem oblivious to the pain. The origins: What gave rise to the Phuket Vegetarian Festival? The origins of Phuket Vegetarian Festival – a colourful nine-day event celebrated by the local community – dates back to 1825. Referred to as ‘jia chai’ among the locals, the festival is believed to have been conceived by a travelling Chinese opera group when they made a stop by in Kathu district. Stricken with malaria, the group decided to adopt a strict vegetarian diet and pray to the gods for purification of their minds and bodies. The members of the group made a surprising recovery following their ritual, battling a disease that was severe and deadly in the 19th century. 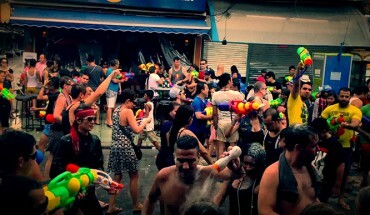 Following their recovery, the locals conducted a festival as a celebration for the troupe, as well as to honour the gods. 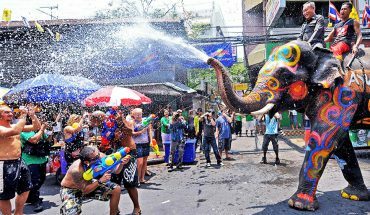 What goes on during the Phuket Vegetarian Festival? The colourful ceremonies are not meant for the faint-hearted! 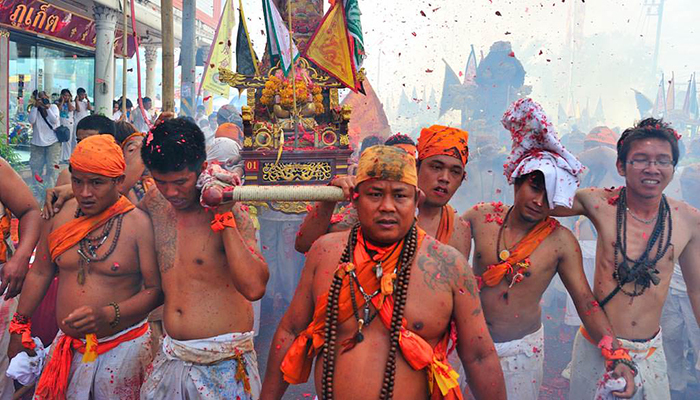 Conducted to invoke the gods, the ceremonies are vibrant – and also gruesome. Walking in a trance across burning coals, body piercing and other forms of self-mutilation are the norm at the ceremonies – all undertaken by participants who act as a medium for the gods, and believe that such acts will bring good luck to the local community. You’ll chance upon individuals using intimidating objects – from skewers and knives, to other household items – to puncture their faces or body parts. It’s an eye-opening and fascinating sight – if you can stomach the gore. Ceremonies are conducted in six Chinese temples dotted across the island. The main temple is Jui Tui Shrine, and this is where the first ceremony of the festival takes place. In this ceremony, a towering pole standing at a height of 10 metres is raised – an act that is believed to notify the Chinese gods about the commencement of the fesitval. During the festival, the local community will bring figurines of deities from their home to the temple, together with an array of offerings. This ritual stems from the belief that the deities will be blessed with the spiritual energy that is present in the temples. 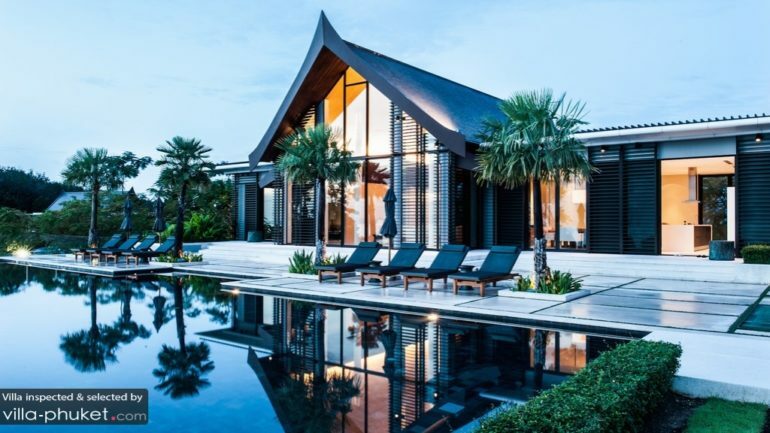 Travellers and visitors may also partake in rituals, like lighting up joss sticks and candles that are placed around the statues an figurines of gods in the temple. Apart from the intriguing street procession, participants at the festival will also have ample opprtunities to sample local vegetarian fare. The street is lined with stalls and markets selling a variety of food items. Do note that local vegetarian dishes often contain mock meat – vegetarian items that are made from substitutes like soybean and vegetarian protein – that may look and taste just like meat. Dress in white. Donning white clothing is a sign of respect for the traditions and customs of the locals. There will be plenty of stores selling white shirts and garments at the festival, so it doesn’t matter if you didn’t pack white clothing items along. Avoid the consumption of alcohol and meat. Bring along protective gear for your eyes and ears. Firecrackers abound during the festival, so a pair of earplugs and safety eye glasses may come in handy. Avoid the festival if you’re in mourning, are pregnant or menstruating.